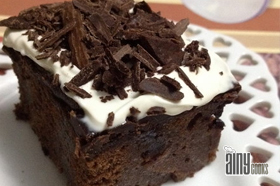 Make this quick pudding with few ingredients in few minutes.I have posted Magical Microwave Brownie Cake and Nutella Walnut Lava Mug cake recipes before, now here it is another easy but stylish recipe in microwave. 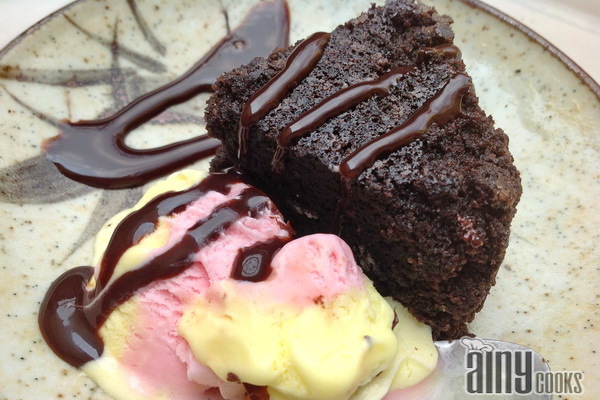 Serve with ice cream and enjoy the combination of hot and cold desserts. Grease a pudding basin and line with butter paper. In a food processor , whiz the butter, sugar, flour, cocoa and baking powder. With the motor running,add eggs, one at a time. Turn into basin, spread level, cover with cling film and microwave for 6 minutes. Meanwhile, place the butter, chocolate and golden syrup in a heatproof bowl and set over a pan of hot water until melted. Stir in the cream to thicken the sauce, pour before serving. Serve with any ice cream flavor. 75 gms = 2/3 cups approx and 125gms=1 cup approx.